Green pitted olives, red pepper, garlic, herbs, sunflower oil, salt. Spicy. 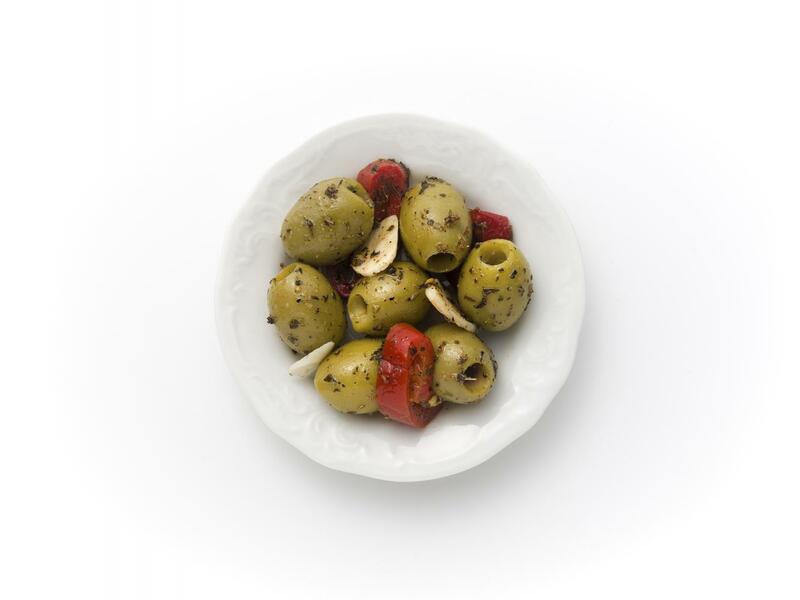 Typical of green olives with peppers and garlic. Green to yellow in the olives, red in the peppers and whitish in the garlic.